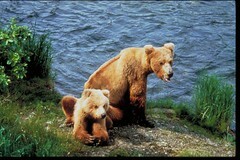 I hear Alaska referred to in many ways as a destination: Alaska is a great place for families. 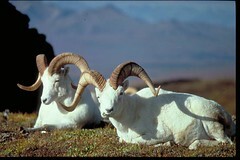 Alaska is great for nature lovers and outdoor enthusiasts. People travel to Alaska to see the “Last Frontier,” the unspoiled natural beauty that isn’t found in most places anymore. These might all sound like cliches, but the fact of the matter is that while no destination can be all things to all people, Alaska truly does offer something for just about everyone. Double-Decker Bus Tour in Victoria, B.C. There are also numerous opportunities to enjoy dog sledding, kayaking, canoeing, hiking, snorkeling, biking, fishing and other active pursuits in Alaska. The sky’s the limit, literally! 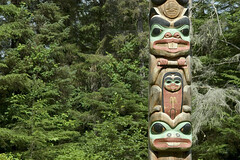 These are just a few ideas for the many ways you might enjoy spending your time in port on your Alaskan cruise. While many cruise lines offer similar shore excursions, some experiences may be unique to the individual cruise lines. 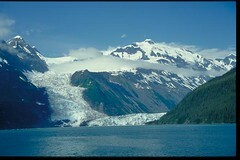 Contact us for more information or to book your own Alaskan cruise vacation! 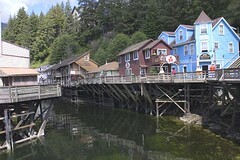 4 Responses to "Shore Excursions in Alaska Offer Wide Range of Choices"
picture that stated view of skagway is actully a picture of creek street in ketchikan.. Thank you for your message. We apologize for the error, and will have it corrected shortly. We were working with a number of images the day this entry was posted, so it’s not surprising that the caption is incorrect. Thanks again! You can definitely see your skills within the paintings you write. The sector hopes for more passionate writers like you who are not afraid to mention how they believe. All the time follow your heart.